It was reduced to £15 in the last of the sale so that made up my mind! Also, this Saturday, and on the taupe/grey theme Claire sent me another Saturday night outfit. Loving this tunic with the skinny jeans and toe-out shoes. Looking good girl! 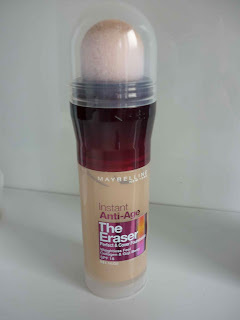 Finally today, I got a tip from a friend about one of the Maybelline Foundations. She was using it yesterday and let me try some - I was really impressed so bought it today. 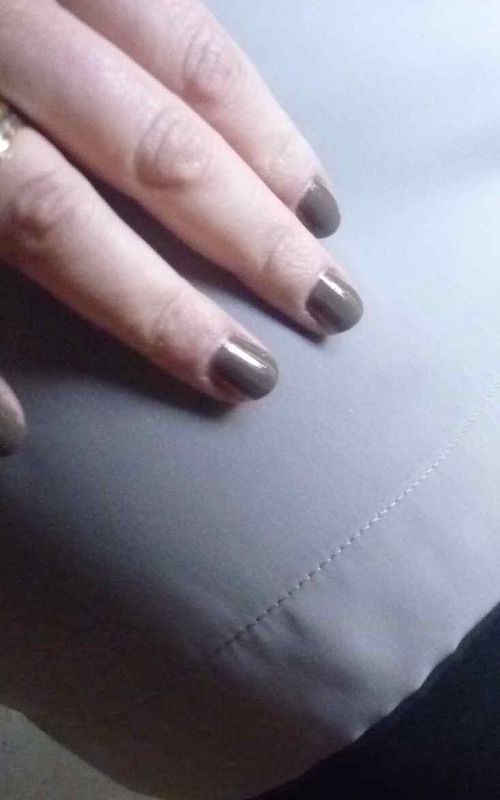 Nice to apply and has a lovely texture..here it is.. I promise it wasn't just the 'instant anti-age' line that sold it :). I love the sponge applicator and the colour & texture. Perfect for those busy mornings when you have to do your makeup on the run. got to love a bargain and what a great dress for £15! Thank you! I'm loving your blog also. So envious of your LFW trip - check out the celebs!